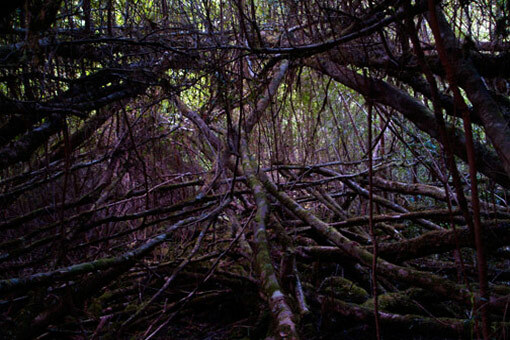 This month I am revisiting some images of Tasmania’s Tarkine wilderness. 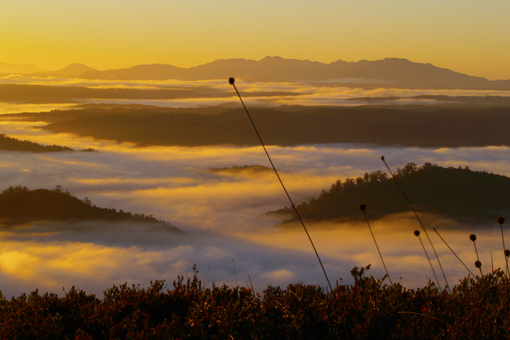 The Tarkine wilderness is a spectacular, remote and until very recently, quite unknown part of Tasmania. Even today there is some ambiguity about the region. 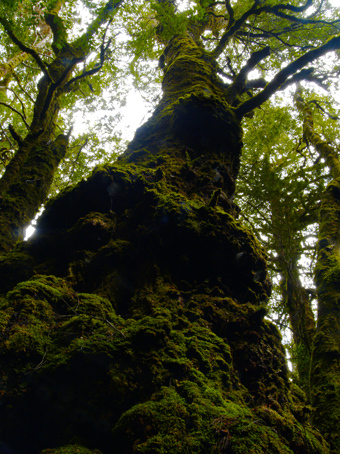 There is no formal boundary or defined area called the Tarkine on official maps, however, conservationists opposed to industrial logging in the timeless forests of the region coined the name during the 1990’s, and this name has really captured people’s imagination and the area is now accepted (albeit grudgingly) by the state government as an area of enormous potential for tourism in north west Tasmania. 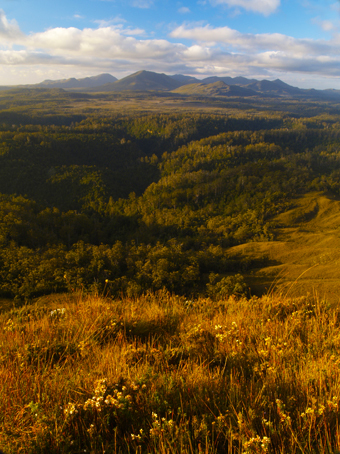 Currently the area consists of the Savage River National Park, some other conservation reserves, and some “informal” reserves managed by Forestry. 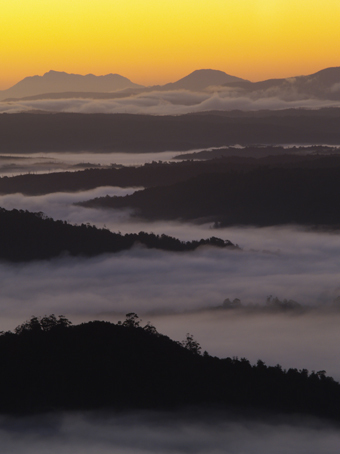 There are strong and determined calls to have the area reserved in totality as a national park, and included as part of the Tasmanian Wilderness World Heritage Area. And it is easy to see why, just from visiting the area around Corinna and Waratah, including Mt Donaldson (top image) and Waratah – where there is a brilliant walk to Philosophers Falls (above image). The Norfolk Range from Mt Donaldson, as afternoon shadows draw long over the valleys below. The scene above has been somewhat changed in the past couple of years as a 4 wheel driver who got lost off road lit a fire in order to attract attention. That fire went on to burn out thousands of hectares, and while it is very true that fire is an essential part of the Aussie bush, it’s a shame that human induced threats are encroaching so significantly on previously inaccessible regions. There are now plans for another road through approximately 6 kms of pure rainforest in the Tarkine’s north, and this time it is the endangered Tassie Devil that could be adversely affected, as the road invites traffic, and disease affected devils, into another previously inaccesible part of the Tarkine.